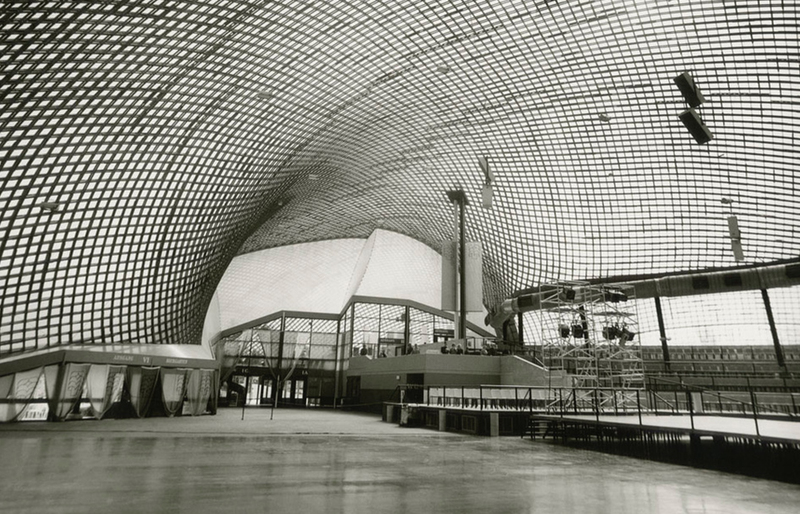 The Multihalle is a joint project by Frei Otto and Carlfried Mutschler. 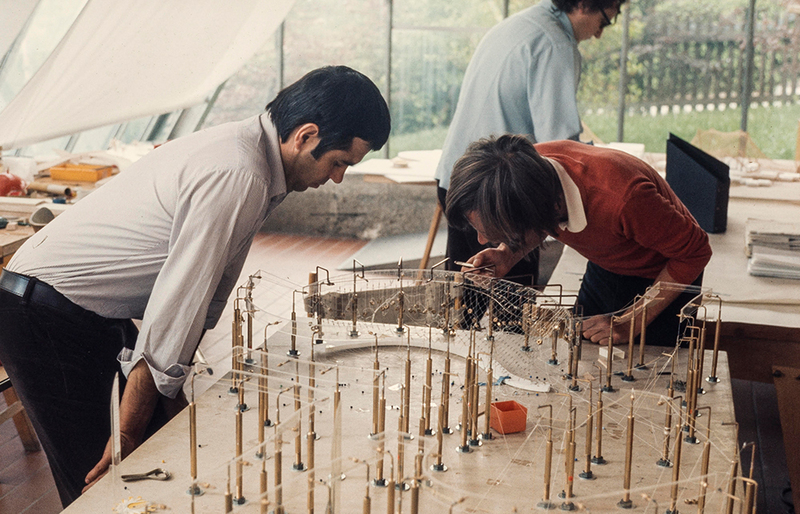 Mutschler and his agency Carlfried Mutschler + Partner were commissioned with the overall design of the park for the Bundesgartenschau 1975 (German National Garden Show), together with landscape gardener Heinz H. Eckebrecht. 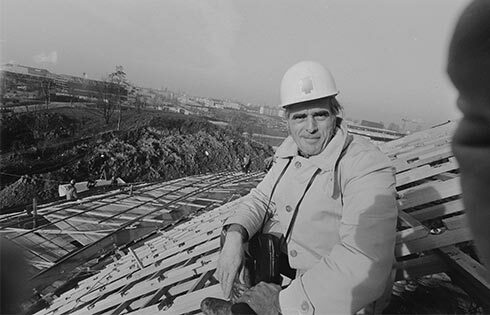 Mutschler asked Frei Paul Otto (1925-2015) to help plan the pavilion in Herzogenriedpark – an understandable move as Otto was, above all, a theorist and progressive thinker. Many of his buildings are the result of cooperations; he described himself as primarily a provider of ideas: “I haven’t built much, apart from many castles in the air”, he once said. Otto’s lifelong theme was building with a minimum amount of materials. His signature designs are lightweight biomorphic forms that use rope nets and grid shells to create filigree support structures in a mutual pull of forces – they have become seminal for many contemporary architects looking for an alternative to modernist-cubic constructions. More, though, his light and flexible designs represent an expression of hope for a new and open society. 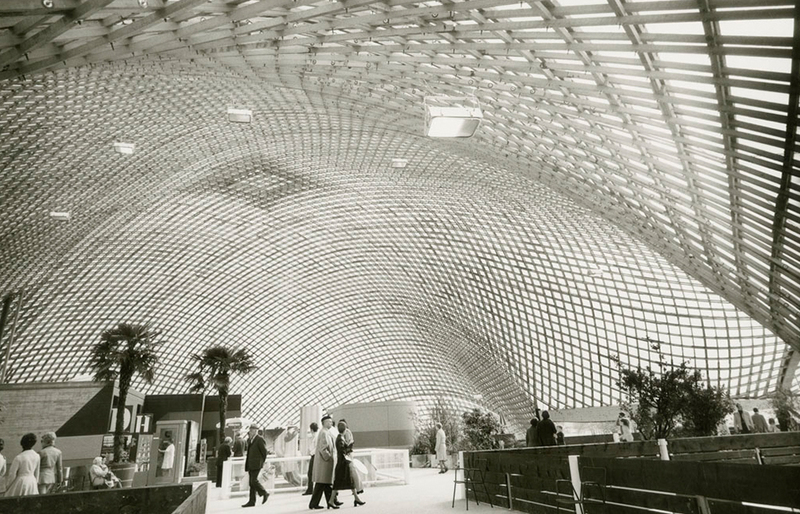 For Frei Otto – his given name Frei, German for ‘free’, became synonymous with his mindset – architecture meant far more than the mere construction of buildings. Rather, it created opportunities for him to expand cultural and social meaning above and beyond a merely functional and merely technical way of thinking. Otto’s design processes also reflected this mindset. At a time when computer technology was still in its early stages, he used models and experiments to explore natural structures and shapes, and then transferred them to his organic works. In this sense, Otto was more a ‘finder’ of innovative building formats than a ‘creator’. Branches and trees inspired him to the same extent as soap bubbles and spider’s webs for testing the structural possibilities of architecture. He laid the foundation for an experimental culture still relevant to the present day. The Multihalle embodies this approach like no other 20th century building. A comprehensive legacy of Frei Otto’s work can be seen at the Südwestdeutsche Archiv für Architektur in Karlsruhe (saai). 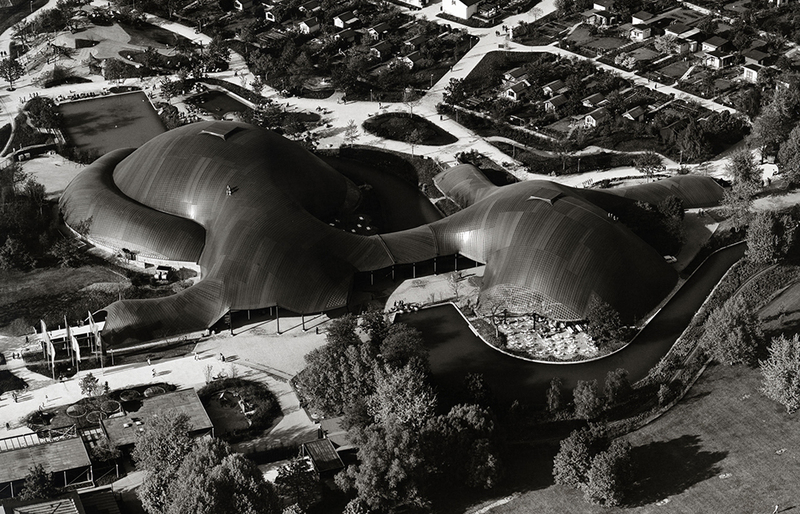 The largest exhibition to date of Otto’s works – Frei Otto. Thinking by Modeling – was shown by the saai at the ZKM Karlsruhe, curated by Professor Georg Vrachliotis, and in cooperation with the Wüstenrot Foundation, in the winter of 2016/2017. Carlfried Mutschler’s (1926–1999) works have significantly shaped Mannheim’s cityscape. He designed the extension of the Reiss-Engelhorn Museum, Mannheim’s Town Hall, the Centre for European Economic Research, the Herzogenried residential estate, and numerous schools and churches across the city. Mutschler’s early work was plainly influenced by his studies under Egon Eiermann in Karlsruhe, and distinctive in its clear lines and edges and exposed concrete. In the 1950s, however, an encounter with the expressionist buildings by Hans Scharoun and Hugo Häring led to a change in his style. Despite his teaching activities in Stuttgart and Frankfurt, Mutschler’s life centred on Mannheim, where he was born and bred.